Pleasant and clean apartment, quiet alley, very friendly owner. 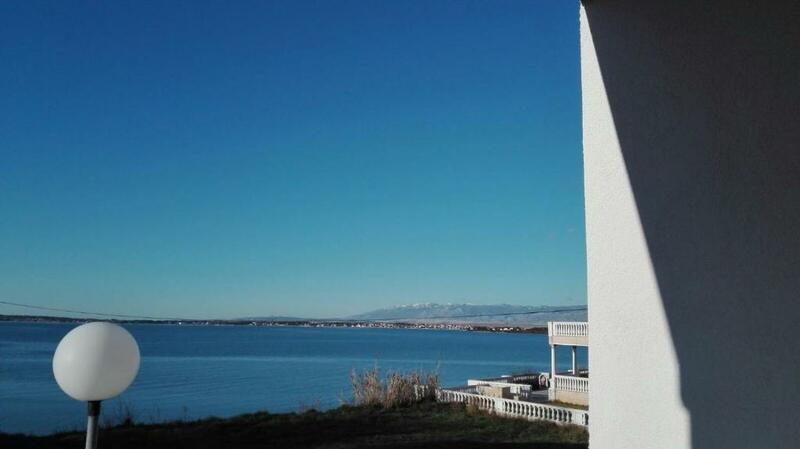 Privlaka is small quiet village suitable for families and for relaxing holiday. Tisztaság, fiatalos stílusú bútorzat, kilátás. A pici strand, ami nagyon közel volt. Apartman je dosta prostran, sa velikom sjenovitom terasom ispred, odlično je pozicioniran, u krugu 2-5 minuta hoda nalaze se: pješčana plaža, restorani, dućani, zabavni park, dok je pekara u samom dvorištu objekta. Atmosfera je ugodna i prava domaćinska. Moguće da vas domaćin iznenadi vinom ili travaricom vlastite proizvodnje. Idealno za kvalitetan odmor. 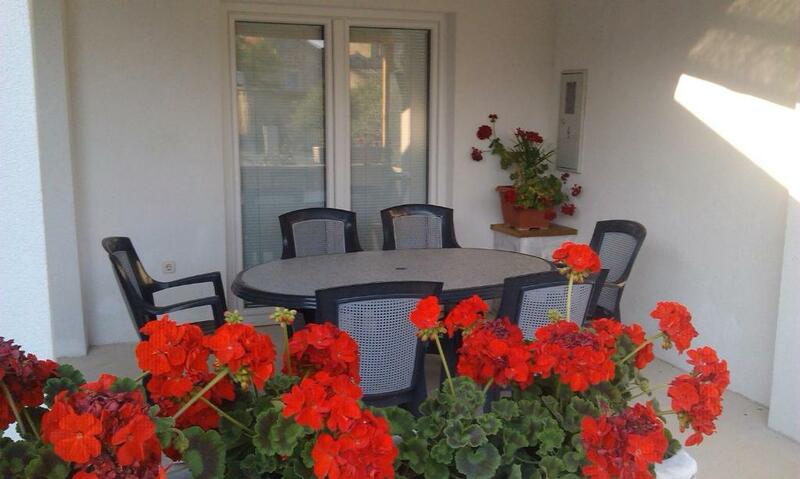 Die Terrasse ist schön groß und auch ein recht netter Garten gehört zur Wohnung. Auch konnte man einen großen Grill nutzen, allerdings fehlte es an Kohle. Die Einrichtung in der Küche war auch in Ordnung. Es fehlte aber an Spülschwamm und Spülmittel. Auch die Badezimmereinrichtung ist spärlich. Dafür war es sauber und ordentlich. Insgesamt merkt man, dass man recht notdürftig die vordere Haushälfte zum Apartmenthaus umgebaut hat und versuchte, es auf günstige Weise zu tun. Szép tiszta, rendezett volt a szállás, teljes mértékben megfelelt az igényeinknek. A szállásadó kedves, aranyos. Az apartmantól kb 3 perces sétára van egy kis homokos öblöl, imádtuk. Nem volt nyüzsgés, ideális pihenni vágyóknak kicsi gyerekkel. Légvonalban kb 20 méter a tenger, a szomszédos utca vezet le a partra. Es war super sehr näch am meer.gehe minute 1 min.alles in der näche max.5 min gehe minuten.gehrne wider gehen wir dort. Wszystko było ok, a Gospodarze to bardzo miłe i przyjazne osoby. Panowała rodzinna atmosfera. Lock in a great price for Apartments Zvonimir – rated 9 by recent guests! With barbecue facilities and a garden, Apartments Zvonimir is located in Privlaka and has free WiFi. The apartment provides guests with a terrace, garden views, a seating area, a flat-screen TV, a fully equipped kitchen with an oven, and a private bathroom with shower. Some units have a balcony and/or patio. Zadar is 14 miles from Apartments Zvonimir. The nearest airport is Zadar Airport, 20 miles from the accommodation. This property is also rated for the best value in Privlaka! Guests are getting more for their money when compared to other properties in this city. When would you like to stay at Apartments Zvonimir? This apartment has air conditioning, balcony and seating area. This apartment features a barbecue, sofa and private entrance. House Rules Apartments Zvonimir takes special requests – add in the next step! It's a pity that the apartment is located directly by the sea, but because of the cliff it can not be reached directly, only by the detour (3min). But that's not the fault of the owners.